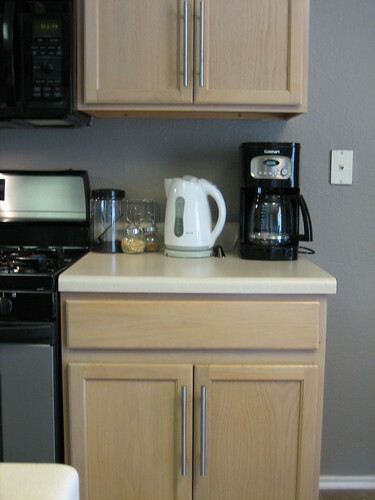 It's a little hard to see in this photo, but we added handles to the cabinets. We like the look of the brushed metal with the gray-ish walls. The drawer pull has not yet been added since we need longer screws for the extra-thick drawer faces; the screws it came with are metric ("Lansa" by Ikea) so that is presenting a challenge.